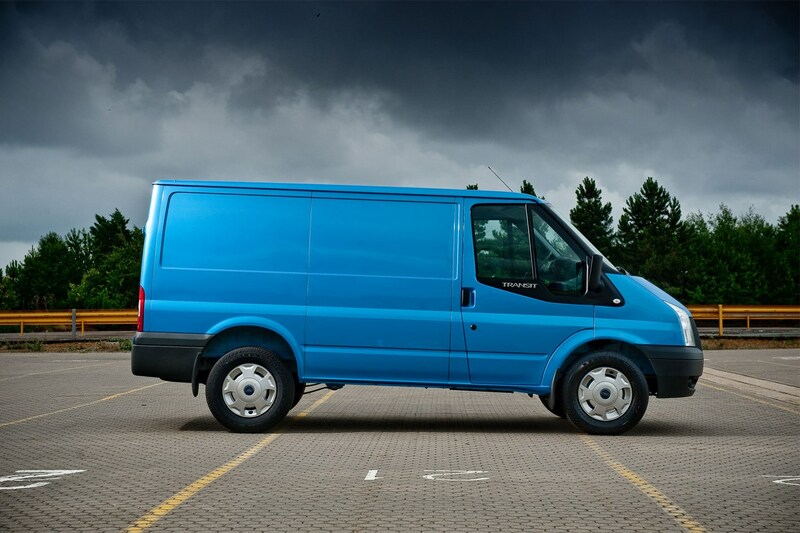 A quarter of all vans on the road in the UK are Transits, such is the popularity of the model. This version has a striking exterior design, along with a completely new and modern interior, and features plenty of thoughtful touches. It was available off-the-shelf in a huge variety of configurations to suit the needs of most, from 2.6 to 4.3 tonnes. 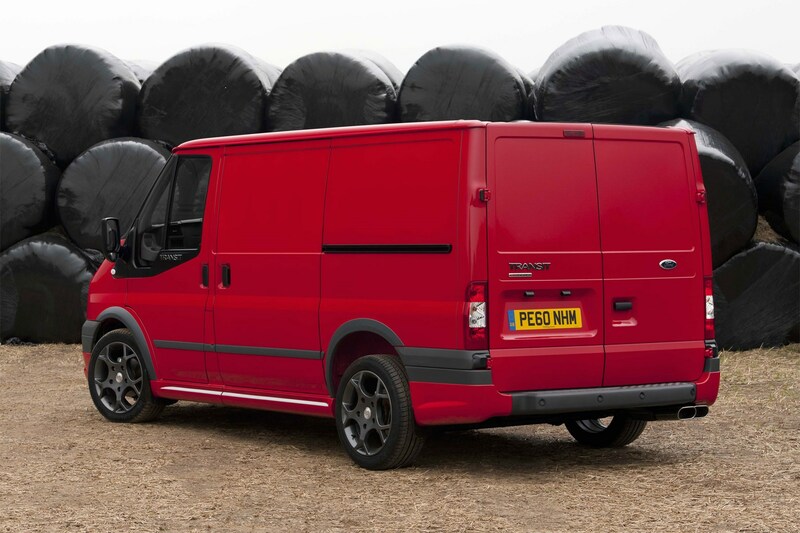 A more car-like driving experience and better safety features ensure that this Transit remained the work horse of choice for many. 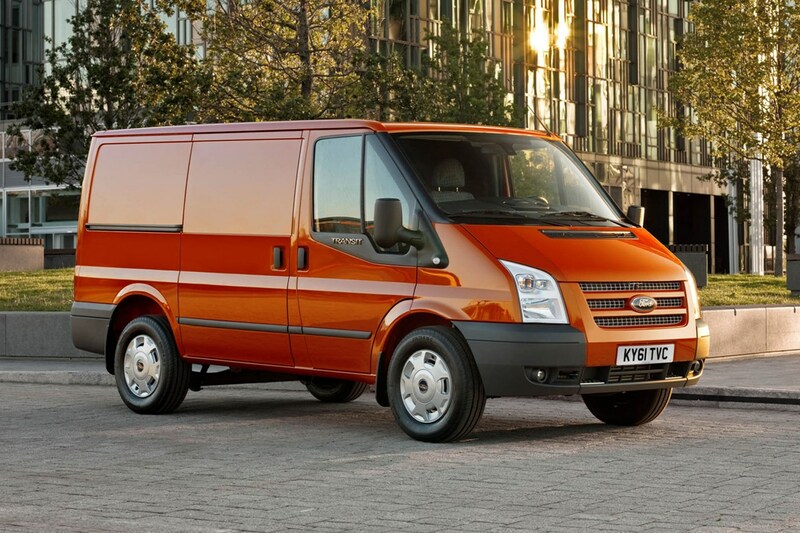 This generation of Ford Transit was the most reliable van in a 2014 reliability survey. 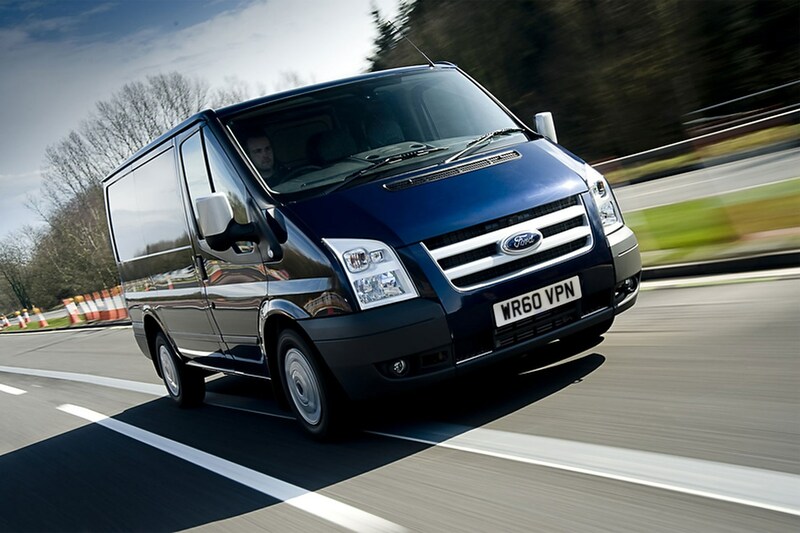 Click here to view the 2014 Van Reliability Survey results. Two modern common-rail diesel engines are offered in a choice of power outputs. Front-wheel drive models come with a 2.2-litre engine with 85, 110 or 130hp, while rear-wheel drive models get a 100, 115 or 140hhp 2.4-litre engine. The two most powerful 2.4 engines are fitted with a six- as opposed to five-speed gearbox, and an automatic option is no longer available. A 2.3-litre petrol engine with 145hp is also available for those who insist on petrol or want to convert to LPG. 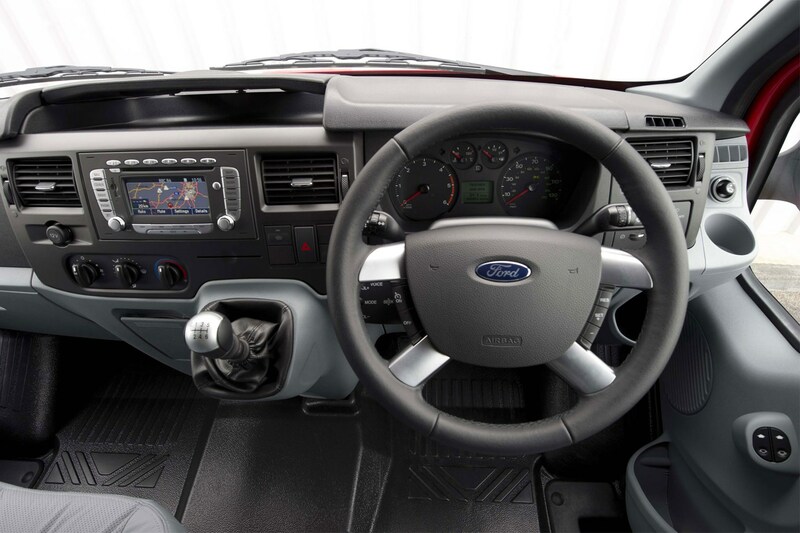 The Transit is easy to drive, with good driver visibility, light controls and a gear lever mounted on the dash, close to the wheel. An optional rear parking sensor gives added confidence when reversing. A four-wheel drive model was offered from 2007. 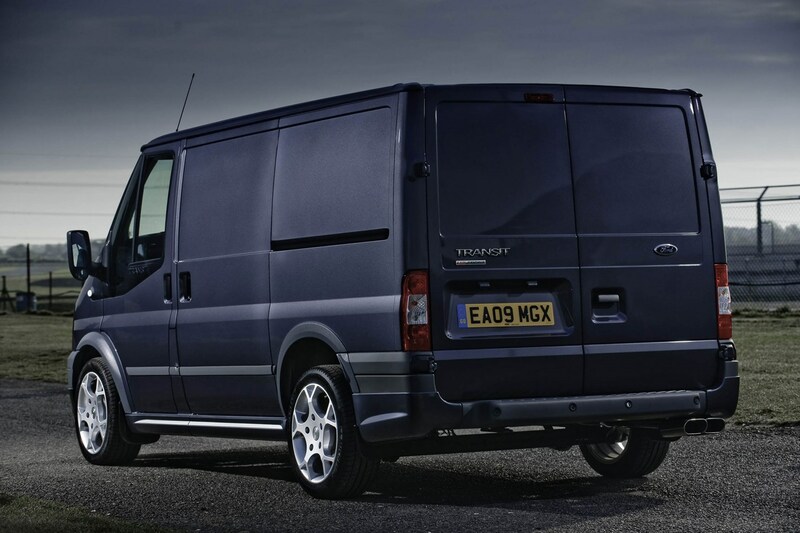 Ford gave this Transit a much improved interior. There is still no steering wheel height adjustment available, but the driver's seat offers six-way adjustability and a comfortable, supportive design. A single passenger seat is an option over the standard double seat. The dash has numerous useful features including a glovebox, two dash-top storage compartments with lids, two 2.0-litre bottle holders, four cup holders and a dash-top tray that flips over as a convenient work desk. An optional pack adds electric windows and mirrors and remote stereo controls, while another pack adds tinted glass, automatic headlights and wipers, and a heated windscreen. The door mirrors incorporate additional wide-angle mirrors on both sides. 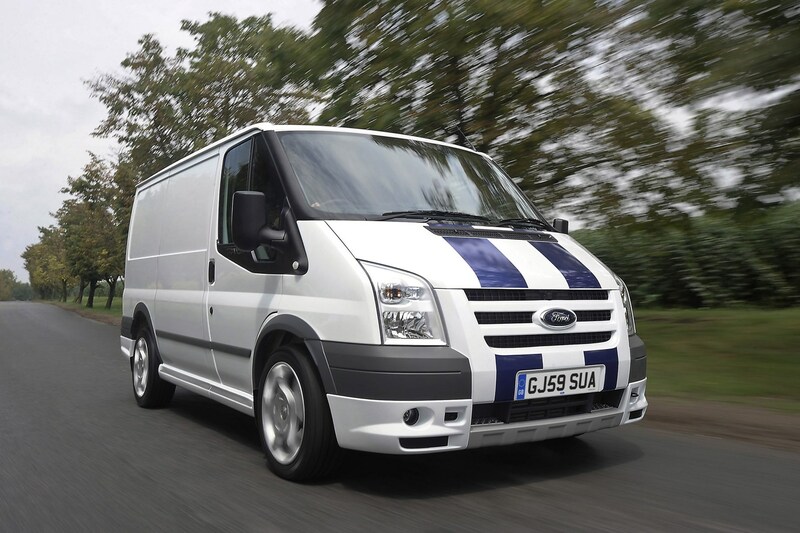 The Transit was competitively priced and Ford offered a range of purchasing options. Maintenance costs are among the most affordable too. Its popularity is such that it will be easy to sell on if there is any life left when you're done with it. The diesels give frugal performance and scope to have a petrol model converted to LPG enabled buyers skip congestion charging when it was new. 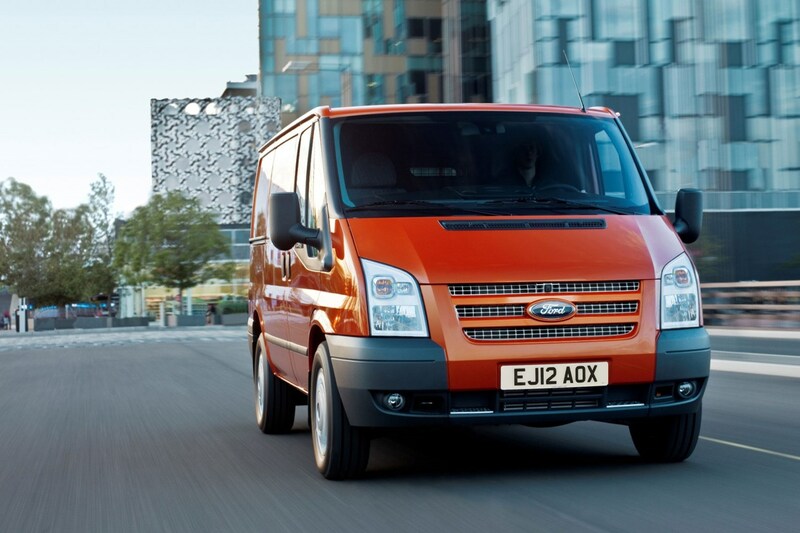 At the time of writing, Ford has 222 sales, and 245 aftersales centres that can deal with the Transit. Additionally around a half of these have 'Backbone Dealer' status with extra services such as extended opening hours and provision of a fast response at short notice. The three-year/100,000 mile warranty gave a decent level of reassurance (although costlier rival, Mercedes-Benz, offered an unlimited mileage three-year warranty). Thoughtful touches include a self-recharging key that's waterproof in case you drop it in a puddle, and twin batteries, one for starting the engine and one for powering ancillaries when the engine isn't running. So even if one goes flat, the van should still start. 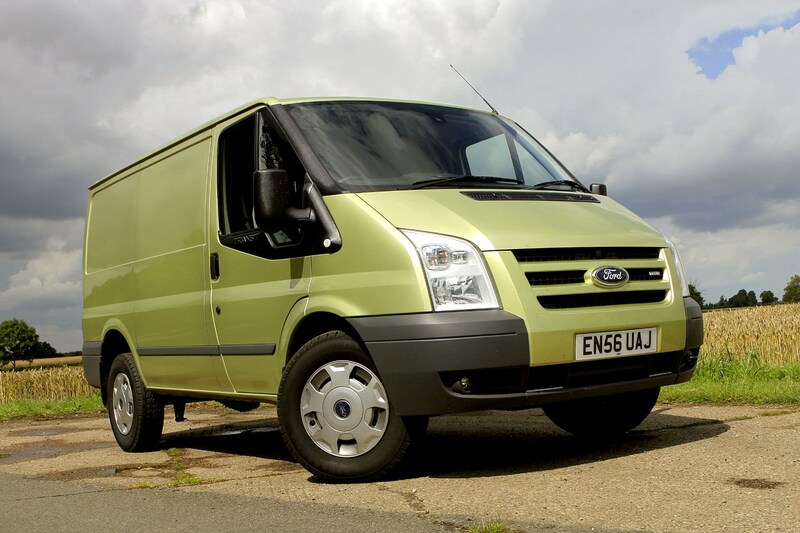 Ford was one of the first to offer van drivers an airbag on the previous Transit model, and a driver's airbag is standard once again. A passenger airbag is optional as are side airbags. 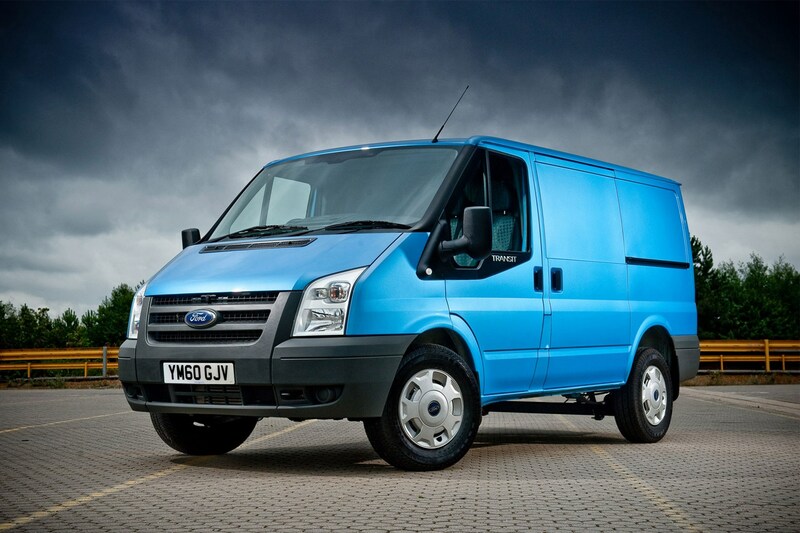 This Transit benefits from the standard fitment of a number of electronic safety features. ABS with brakeforce distribution stops the brakes from skidding even with a light load. Electronic stability control (ESC) helps the driver recover control of the vehicle in slippery conditions or in the event of a sudden manoeuvre. All models are fitted with a Thatcham-approved immobiliser, a lockable bonnet and a steering wheel that becomes inoperative if force is applied to it. 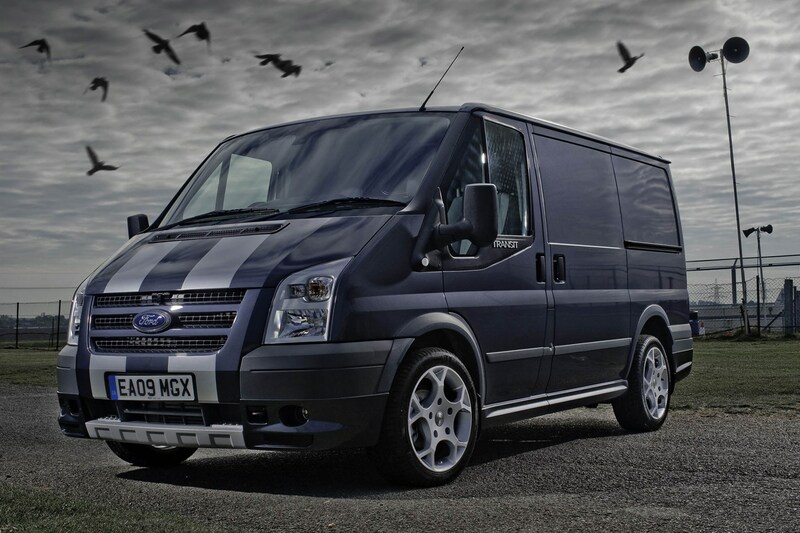 Which Ford Transit (06-13) is best for me?